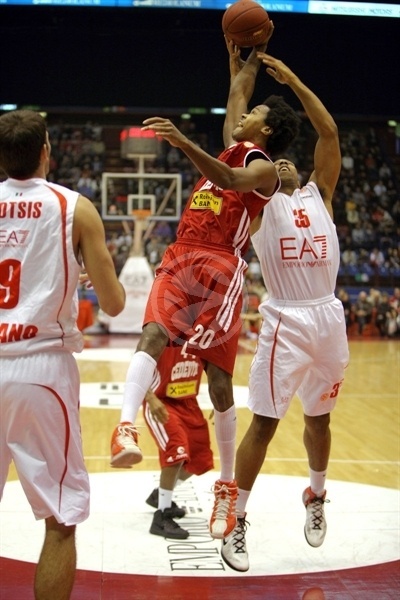 EA7 Emporio Armani Milan registered a 75-60 win over Cedetiva Zagreb on Thursday night to stay on pace to reach the Top 16. Armani improved to 3-4 and sits in fourth place in Group C. A third quarter in which Milan outscored Cedevita 25-9 proved to be the turning point, and the visitor was unable to recover in the fourth. Ioannis Bourousis –still recovering from a knee injury- led Milan alongside Keith Langford with 11 points in a cameo appearance that also featured 12 rebounds. 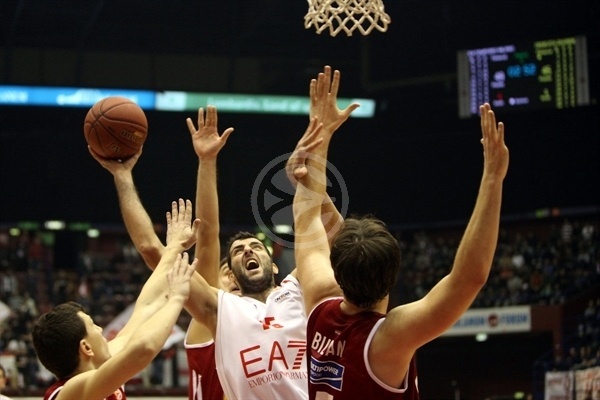 Cedevita - and the game’s – top scorer came from the bench, as Miro Bilan hit 15 for new coach Jaksa Vukic’s side. While Cedevita went immediately ahead from the tip-off, a slick three and a layup-plus-foul from Antonis Fotsis demonstrated the host’s intentions. 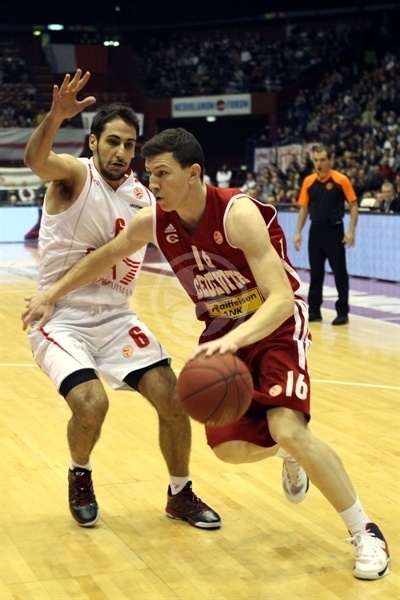 Predrag Suput showed that Cedevita also had triples in its arsenal with a three of his own. The varied play of the opening few minutes saw layups, jump shots, dunks and a Richard Hendrix alley-oop for Milan, but there was little in the way of an advantage for either side. Goran Suton for Cedevita and Langford for Milan both found their groove towards the end of the first quarter, and Nicolo Melli hit a big three to get the crowd going. Milan scraped into the lead by the end, 20-18. Fotsis led the way on points, with 7 from his early shots. Rebounding took over importance at the start of the second quarter, as Melli and Malik Hairston showed great presence and desire under the boards. 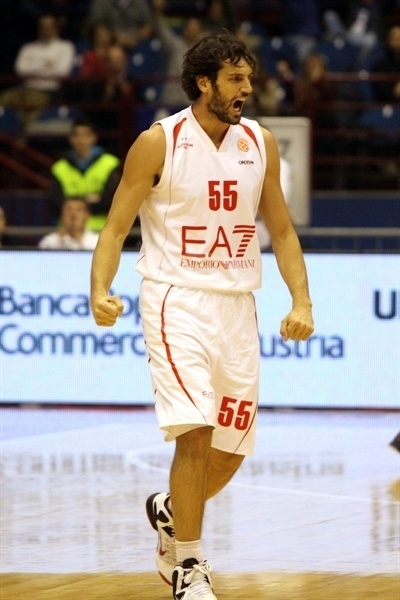 A 7-point lead was established by Milan with Rok Stipcevic’s first points, from behind the arc. With the score at 25-18, Cedevita finally sank its first points of the half and mounted a comeback through the energetic Bracey Wright. Frequent turnovers by Cedevita and some careless fouls from the host side meant that establishing a large lead was proving impossible. With the game tied at 32-32, Marques Green reminded fans in Milan of his uncanny ability to hit game-changing threes, honed last week for Cedevita in the double overtime win over Zalgiris Kaunas. 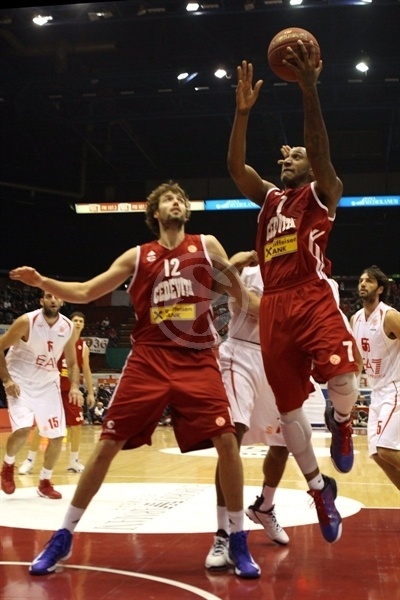 His shot from outside put Cedevita in front. A smooth Omar Cook-to-David Chiotti pick-and-roll combination brought it back to a 1-point game in the final 30 seconds of the half, which ended 36-37. 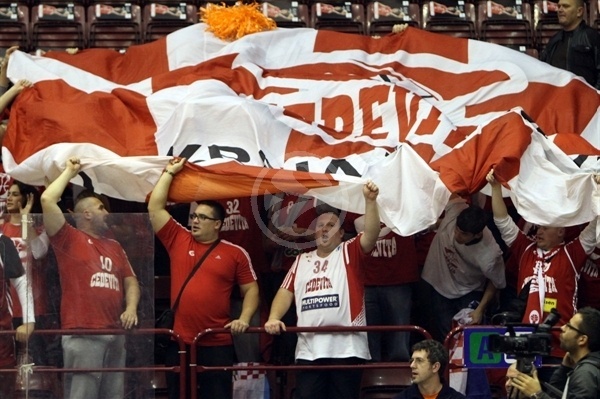 Cedevita – with a new coach and little preparation time together – had made the breakthrough. Cook – still suffering from a bout of flu – picked up a three to start the scoring in the second half and his own personal tally for the night. The Milan guard’s contribution avoided Cedevita extending its lead to 5 points, and the advantage kept on changing hands in a tight third quarter. No player was truly imposing pace, points and will on the game, like the visitor’s Bilan. Last week’s hero for the visitors, Mickael Gelabale, only made his first impact on the scoreboard midway through the quarter. A spectacular banked Fotsis triple put Milan 44-42 in front, followed up by a Hairston three that increased the advantage to 5. Bourousis may have been injured and unable to play significant minutes, but he provided identity in the paint and Fotsis proved to be a strong replacement for rebounds and steals. 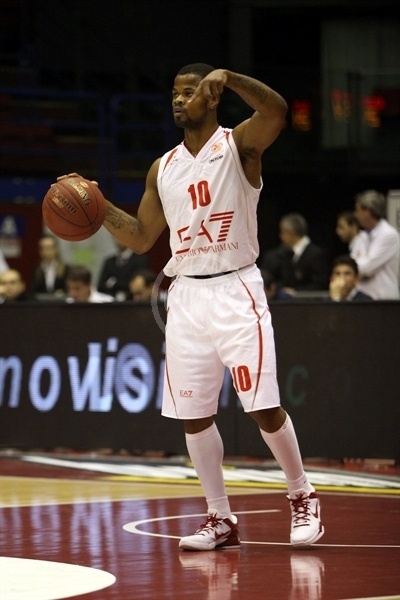 In the backcourt, Cook ran the play and claimed a series of impressive assists, including serving up a Hairston dunk that put Milan 7-points up. 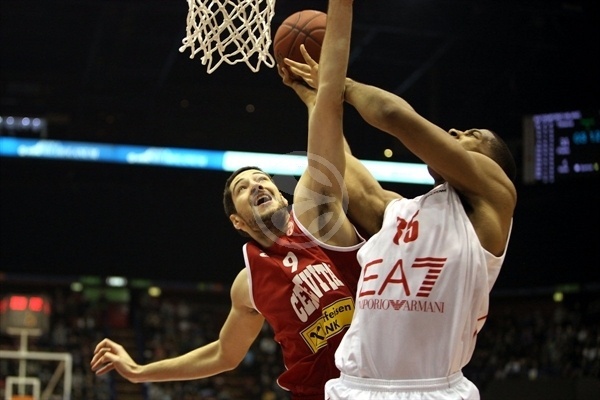 Aware of Cedevita’s comeback ability, Milan looked to put distance between the two teams. Gianluca Basile and Fotsis hit consecutive threes to make it 59-45. 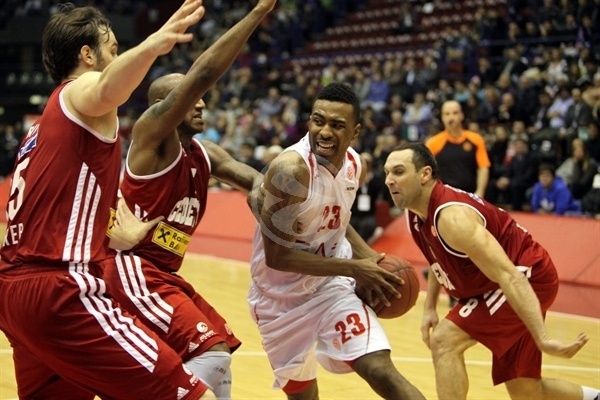 A third quarter turnaround of 16 points saw Milan go into the final quarter 61-46 ahead. Having gone two minutes without a basket, Cedevita finally made a response from a Marko Tomas three, but Milan held a comfortable 67-49 advantage after Langford drove inside for a layup. A 21-point game was established from a textbook Langford shot from beyond the arc and maintained by the superior rebounding of the home side. Bourousis showed that even at less than 100% fitness, he can still have an impact on the game, moving into double-digits for rebounds and knocking down a three. Cedevita used the final couple of minutes to save a little dignity and for a nice alley-oop from Gelabale, but there was no way back for the Croatian team. Unlike last week, there would be no late heroics, and EA7 Emporio Armani Milan celebrated the win. 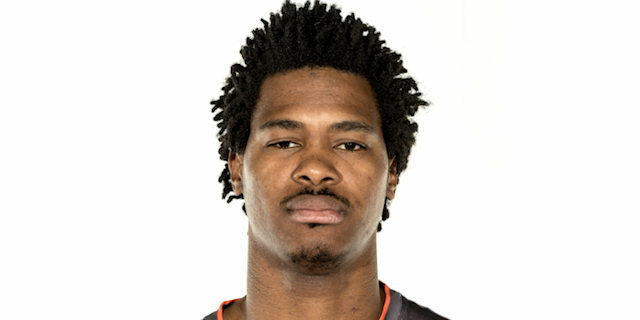 "We took a big step ahead on the way to a spot in the Top 16 and also in our game. We played much better and I would like to congratulate my players because sometimes I was so tough with them. We started to go the right way, but we must follow and work hard on defense." "First of all congratulations to Milano. My team played a good game, but we had some difficulties when they started to play aggressive defense during the third quarter and took control of the game. We were unable to come back, and they deserved to win." "It was the first of four finals for us, and we made a big step ahead on the road to a berth in the Top 16. We played good defense on their pick-and-roll, but we have to make a lot of improvements on both sides of the court. We have to continue this way." 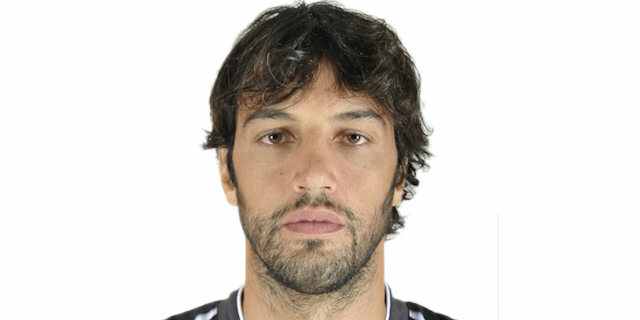 "It was a very tough game for us tonight, after very tough days because our coach left the team. Now we have to work to understand the new coach’s ideas, and we have to continue to have trust in our chance to reach the Top 16 and do our best to make it."